Powerful Cynosure Icon Laser Hair Removal in Cary, NC at La Therapie Spa & Med Aesthetics helps you ditch the razor! Advanced technician expertly tackles unwanted hair, quickly and painlessly. 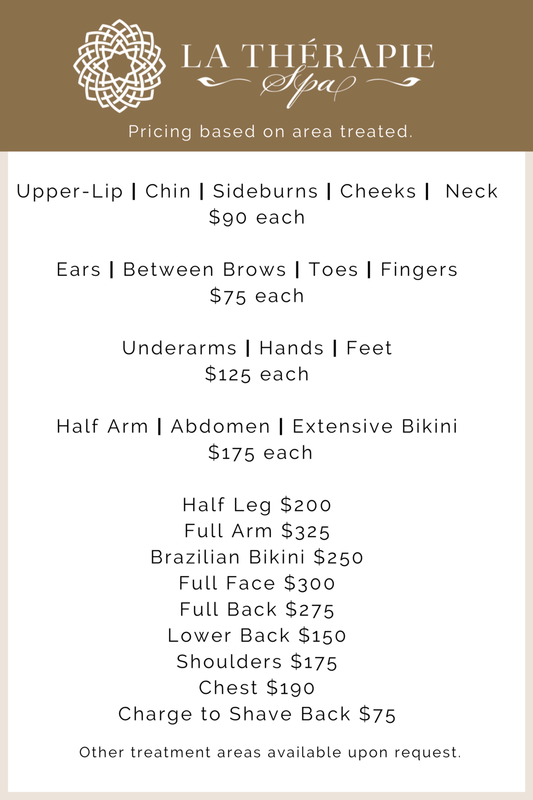 Explore our Laser Hair Removal promotions. Call to schedule a free consultation and say goodbye to your razor! La Therapie uses state-of-the-art technology to help free you from your razor - forever! The laser sends gentle, light energy through layers of skin which is then absorbed by the hair follicle and hair shaft, in a process called selective photothermolysis. The energy destroys the cells that produce hair growth, leaving you with soft, beautiful skin. The procedure is fast and easy with very little discomfort. Each treatment is professionally and gently administered for the most comfortable and effective experience so you can be assured of getting the absolute best result. * Special pricing available for a series of 3, 6 or 9 treatments.